This entry is part 5 of 6 in the series CheeseWeb Drinks (Responsibly). We stumbled across Poppies Gin while browsing the Vraie Confiture du Durbuy shop. This little shop was a treasure trove of goodies from the region and it turns out their wares weren’t limited to Walloon products. 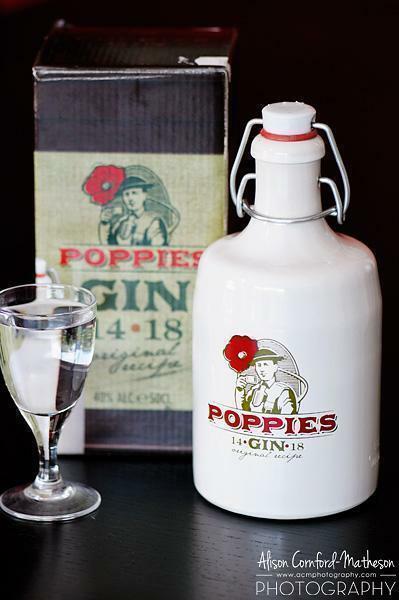 The bright white, traditional earthenware jug of Poppies Gin caught my eye. Used to seeing only the term jenever used in Belgium, I was curious about this English-style gin. Of course, I wanted to know more. But that’s where it got tricky. A google search of Poppies Gin brought back very little; just a couple of distributors. So, I decided to go to the source, the Rubbens distillery website. I learned more about the distillery (with the help of Google translate) but there was no mention of Poppies Gin. 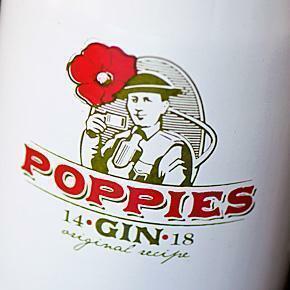 Poppies Gin – We can’t find out much about it, other than we like it! Rubbens Jenever Distillery was founded in 1817, in the tiny East Flanders community of Zele. By 1872, Charles Rubbens had a thriving jenever distillery. The distillery has been passed down through the generations but still remains in the Rubbens family. They produce 9 different jenevers, both old and young. They also make a wide variety of fruit jenevers, including: apple, black current, lemon, passion fruit, strawberry, cherry, melon and prune. Finally there are 4 cream jenevers: chocolate, vanilla, strawberry and kiwi. But no mention of Poppies Gin. In fact there are dozens of products listed on the website: vodka, gins, liqueurs, even wines, but Poppies is nowhere to be found. It’s a mystery, and if you know more about this English-style Belgian gin, I’d love to hear it. What I will say is if you like gin and you like licorice, Poppies Gin is well worth a taste, if you can get your hands on it.